Floor sheathing is a structural component of a building which carries the live loads from above to floor joists below. It is a tongue and groove structural panel that is fastened to the floor structure with nails and glue. It is most often installed after a floor frame has been built, and prior to the walls being erected. Commonly called sub-flooring, structural panels are engineered wood products known as plywood and oriented strand board (OSB). Plywood is made from thin sheets of veneer that are adhered together, and OSB is made from wood chips that are adhered together. Both structural panels are commonly installed using the standard 3/4 inch thick, 4x8 foot sheet size, although they are available in longer lengths and varying thicknesses. In some floor assembly applications, depending on what the finished floor material is specified to be, an underlayment may be required. Underlayment is installed on top of the sub-floor to create a smooth, level surface to which finish floor material can be attached. Wood products used as underlayment are typically 1/4 inch thick, 4x8 sheets and can be hardboard, particleboard, OSB, plywood or luan. Some products are available in roll form and help to absorb sound transmission, such as cork or foam, and these products are known as acoustical underlayment. Other types of underlayment are available for specific installations that require a material other than wood, for example, tile, which utilizes a cementitous underlayment. It is always important to verify with a manufacturer what is recommended as a sub-floor or underlayment for the finish flooring material. 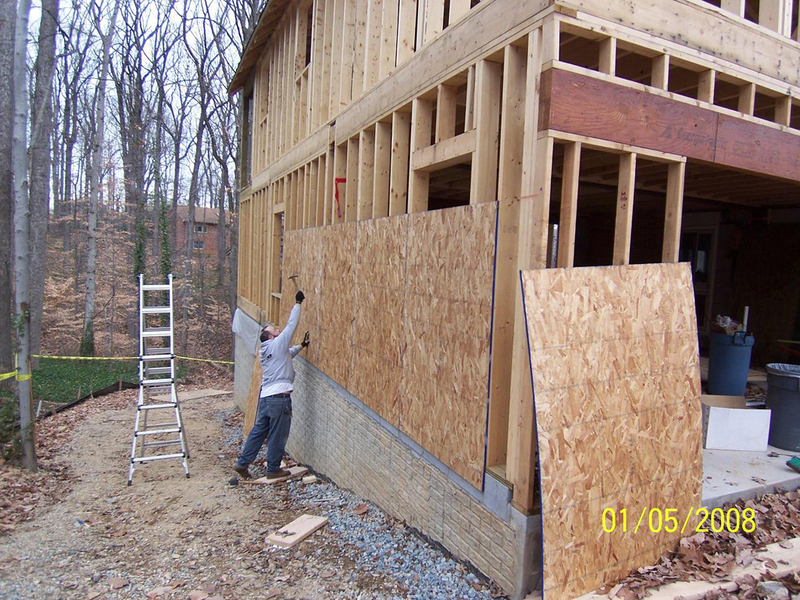 Exterior wall sheathing works in conjunction with the building envelope in preventing wind and water from entering. It can be either non-structural or structural sheathing. Also known as insulating sheathing, non-structural sheathing is installed on an exterior wall to provide added insulation, and in some cases it acts as a radiant barrier. Non-structural sheathing can be applied directly to the exterior wall framing, where diagonal bracing has been installed. 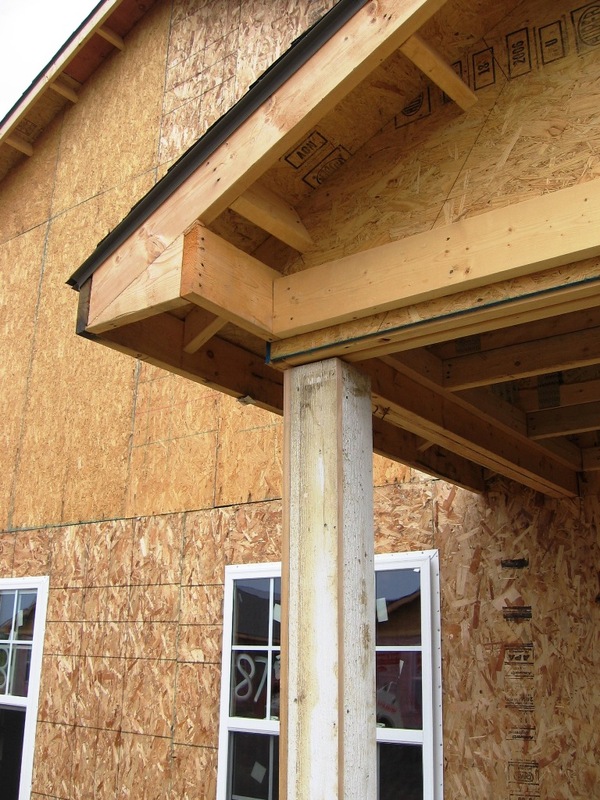 It may also be installed on the interior or exterior side of structural sheathing. There are many types of insulating sheathing offering various R-values. Types include plastic, foam, cellulose fiber, paper faced and foil faced boards. Insulating sheathing is a lightweight panel that is easily cut with a knife. The panels are attached with large-headed galvanized nails to exterior wall framing. 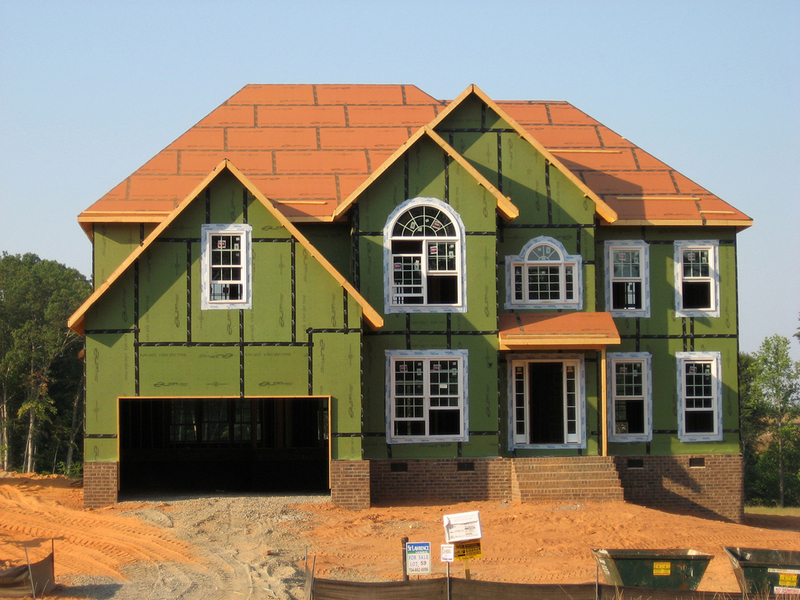 When considering the use of insulating sheathing, combustibility becomes as issue, so be sure to follow the manufacturer's recommendations for installation. Structural sheathing is attached to the exterior wall framing, bracing the walls against positive and negative forces. There are several different types of structural sheathing to choose from; they can be either wood, gypsum or cement based sheathing. 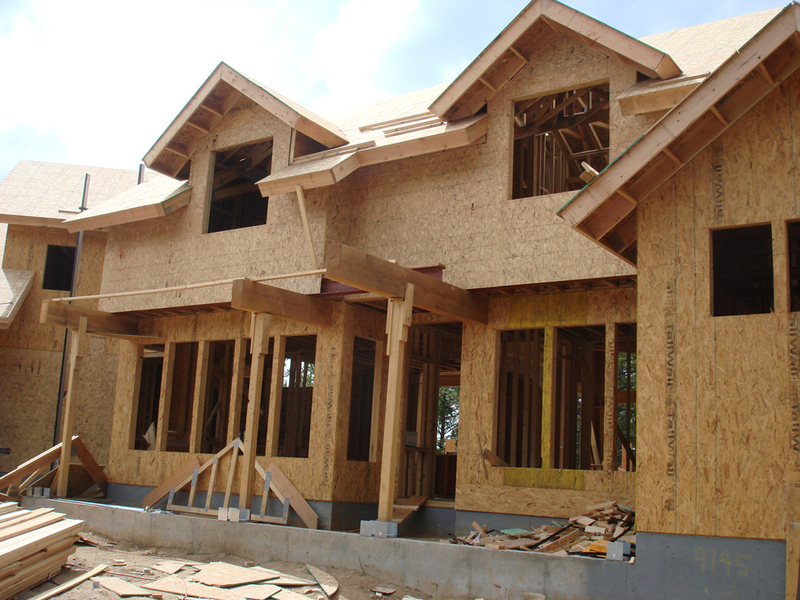 Wood based structural sheathing includes plywood, oriented strand board and waferboard. These wood products are available in 1/2 inch thicknesses and sheet sizes that are 4x8, 4x9 and 4x10. Each type of wood sheathing is offered in various grades of material that offer different performance characteristics; they do not offer any fire resistance, unless the sheathing is fire retardant treated. Wood sheathing prevents wall racking in wood framed structures, and is typically used in residential applications. Gypsum based structural sheathing can be paper-faced, glass-mat faced or unfaced core-reinforced sheathing. These gypsum products are available in 1/2 inch and 5/8 inch thicknesses and sheet sizes that are 4x8, 4x9 and 4x10. Each type of gypsum sheathing has varying performance characteristics. Paper-faced gypsum and unfaced gypsum/cellulose core-reinforced sheathing are combustible materials and are not moisture resistant. Glass-mat faced gypsum sheathing is non-combustible and moisture resistant. Gypsum sheathing is commonly used on commercial applications. Cement based structural sheathing can be cement board or fiber cement sheathing. These cement products are available in 1/4 inch and 1/2 inch thickness and sheet sizes that are 3x5 and 4x8. Cement board sheathing is made with Portland cement that is reinforced with glass-fiber mesh. These boards are non-combustible and resist moisture damage. Fiber cement sheathing is also made with Portland cement, but reinforced with cellulose. Fiber cement sheathing is combustible and not moisture resistant. Cement based sheathing is typically used on exterior walls under EIFS, ceramic tile and thin brick. 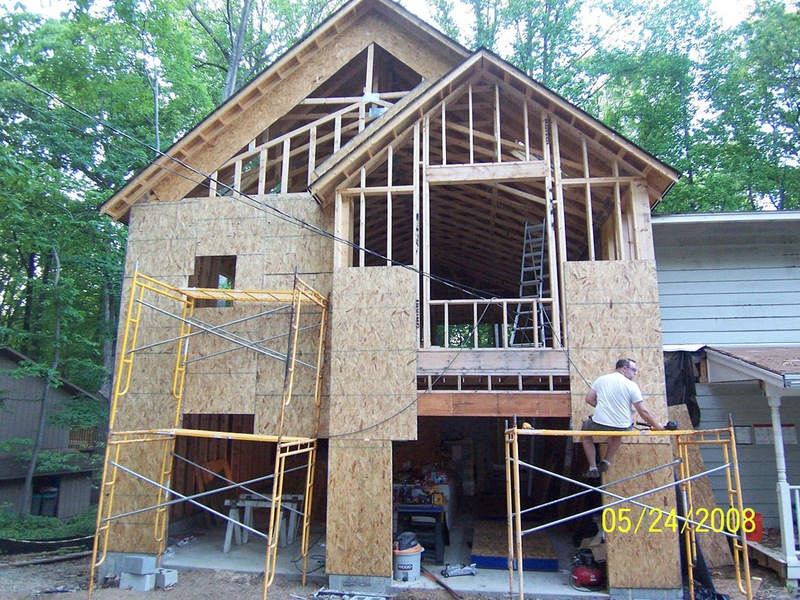 Roof sheathing is structural, providing lateral bracing of roof framing members, and it carries both live and dead loads from above to the rafters and trusses below. 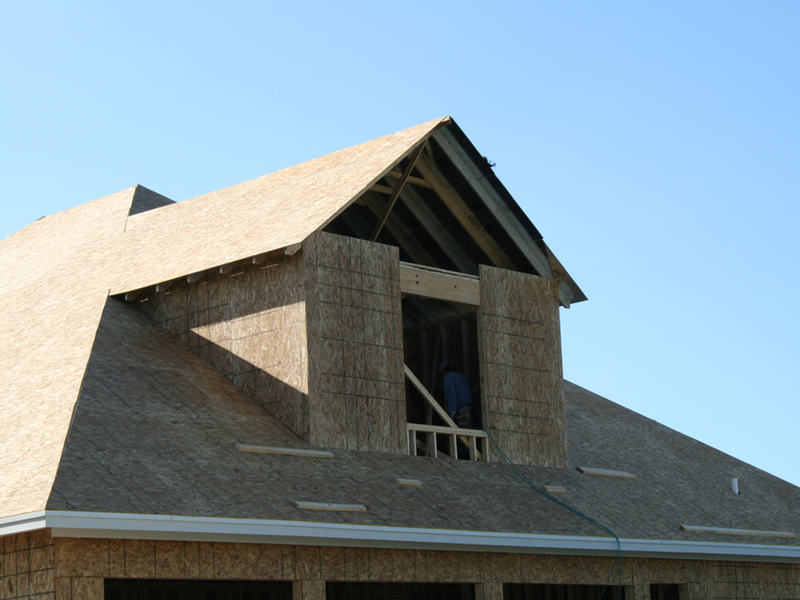 Similar to exterior wall wood sheathing, roof sheathing includes plywood, oriented strand board and waferboard.